Please make a note when making a reservation if you would like to dine in our upstairs al fresco Rooftop Bliss Bar area. Parking on Broadway adjacent to the restaurant called The Plaza Shopping Center available after 5pm to patrons only. During Summer lot is maintained by a valet company only. Parking is validated to half their fee for diner or leave for festivals at their normal rate. Street Meter Parking also around building on all sides but not always available. There is a public transport drop off at the main Laguna Beach bus depot 100 Yards East of the building.Laguna Beach Trolley runs along PCH about 500 yards form the restaurant as well as seasonally runs next door at the bus station with easy accessibility to all Festival Grounds & Playhouse. Nirvana Grille features live music on the Bliss Bar Rooftop Patio on Sundays by Anesha Rose. For any occasion large or small we are here to assist in making your special event perfect. Whether you wish to be indoors or out, we will provide every last detail to make this a truly memorable event. Nirvana Grille Laguna Beach is available for Private Dining Events, Large Groups, Corporate Events & Private Luncheon Events. We look forward to assisting you. 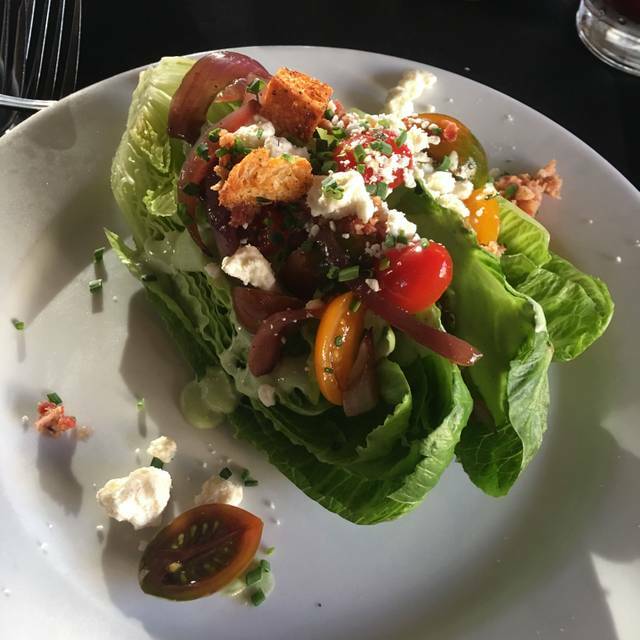 Nirvana Grille is a Sustainable California Restaurant located in the heart of Downtown Laguna Beach, between Main Beach & the Historic Festival of Arts by local Laguna Beach Chef & Owner Lindsay Smith-Rosales. Our philosophy begins at the local level working closely with area growers and the highest quality purveyors to ensure that our predominately organic produce, meat, wild fish & free-range chicken are provided. We are able to meet the needs of even the most discerning guests with dietary concerns including Vegan, Vegetarian, Gluten Free, Paleo & Keto Diets. Enjoy our seasonal Bliss Bar Patio dining is warmer seasons and our warm farm house dining room alternatively throughout the year. This restaurant has been a great option in the past, however off the mark. Food was just warm, service was not great and seating uncomfortable. Our favorite place to dine in Laguna. We go early and enjoy a quiet repast. Nirvana Grill was perfect for pre theatre at Laguna Playhouse. The food & service were great. I just wish I had known before getting the playbill that if you show your tickets, you get 10% off! We will definitely go there again. Wonderful find. Food, service, and atmosphere. Will definitely be back. Kind of pricey. Quiet restaurant; almost too quite. Salmon was good. Food was great and fairly priced. No problem substituting side dishes on entrees. Entire experience was great. Definitely will return. The food is always outstanding; the service top notch. So happy you loved the food and the staff did anything less that perfect. We look forward to your next return. The Trio Salad Family Style is our favorite. The corn tomato bisque soup was also great. We had to indulge in a slice of apple strudel with oatmeal crust. We'll be back. So glad you enjoyed your meal Russ! That means we are doing what we do best. We look forward to feeding you again soon! From the moment I entered the restaurant, I was warmly greeted by the hostess. Our waitress was equally friendly but professional. 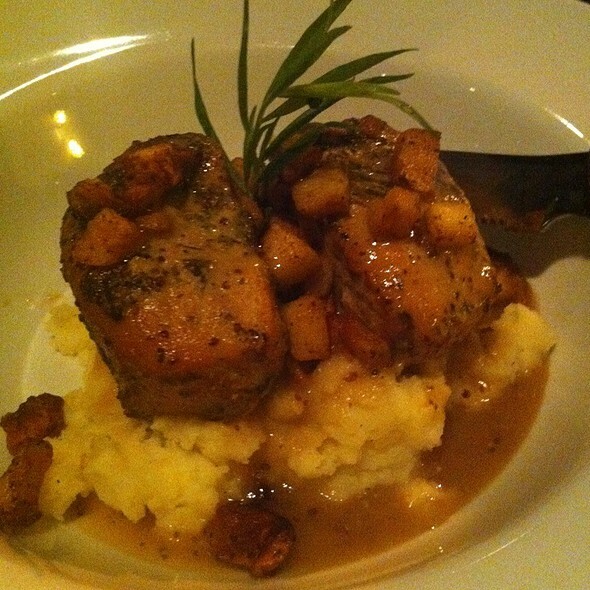 The food is absolutely top quality: fresh and flavorful, imaginative. I had the salmon, which melted in my mouth. The dessert list was tough to make a choice; mud pie was an excellent choice. We were there on a Sunday evening, so it was quieter than usual near the bar - no invasive music to interrupt our conversation. One more thing: this is one of the few Laguna Beach restaurants with accessible parking nearby. The bill topped out at $60 per person, including cocktails, dessert and tip. Sheila, It pleases me beyond measure the experience you had. It is an example of the staffs ability to embrace our mission by the way the service is performed and cook food in a way we are so proud of. Thank you for sharing with us and we look forward to your next return. Early dinner with old friends. Perfect ambiance, not too loud, the food was terrific! The food was organic and delicious, served by a very courteous waiter. The restaurant was fairly quiet with soft music playing in the background when we arrived. The service was impeccable, the wine list had many choices and the menu had a variety of dishes that would satisfy anyone's appetite. This is the place. Very disappointed. Not at the restuarant, but as a 30-year IRVINE resident I never heard of it before, yet always drive by on Broadway in Laguna. Everything was extra extraordinary from arrival at 6:30 pm on a Friday. Smiles. Welcome to and a seat was instantly ready. As the door opened I know they cared. Serious great food and all. So glad they were on Restaurant Week. Always creative, inventive, wonderful flavors, and Restaurant Week did not disappoint the 3 of us. Even the bread is delicious. You can tell that the chef takes pride in her creations. A wonderful regular menu, as well that changes, seasonally. We said we will definitely return to try some of the delicious-sounding items on the regular menu! I always order your outstanding vegetable plate. It is always perfect - well chosen vegetables, good combinations, perfectly cooked, simple and delicious spices, butter, in combination. 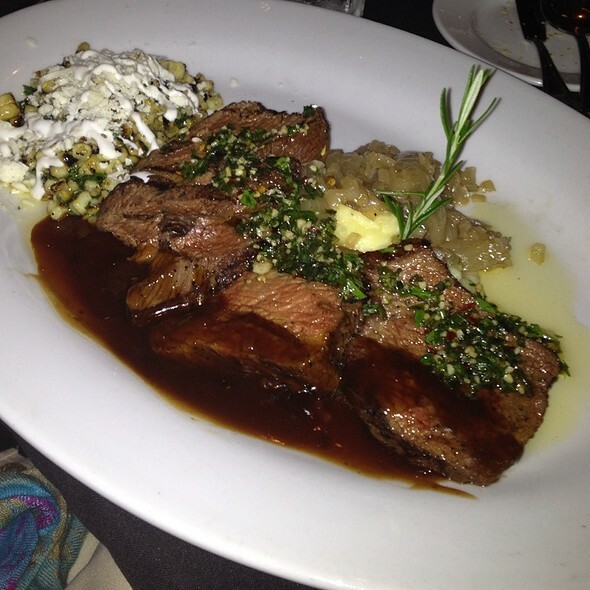 The restaurant is relatively quiet and is in a beautiful area and convenient to Laguna Playhouse. This is one of my favorite restaurants. We had not been to Nirvana Grille for several years. The food was OK but the service was iffy so we just went elsewhere. That is water under the bridge. This time the service was excellent and the food was awesome! Portion size was small for the price but that is likely a better option for one's health. Also, it was quiet so all 4 of us could hear each other! That is important to me so you can bet we will be going back! Neighborhood gem. Lindsay is a wonderful chef/owner. My husband and I both really enjoyed our dinners. Good service, nice ambiance. This was a lovely dining experience. The restaurant feels intimate; we weren’t aware of how many other diners were there! Excellent food; attentive, respectful wait staff. 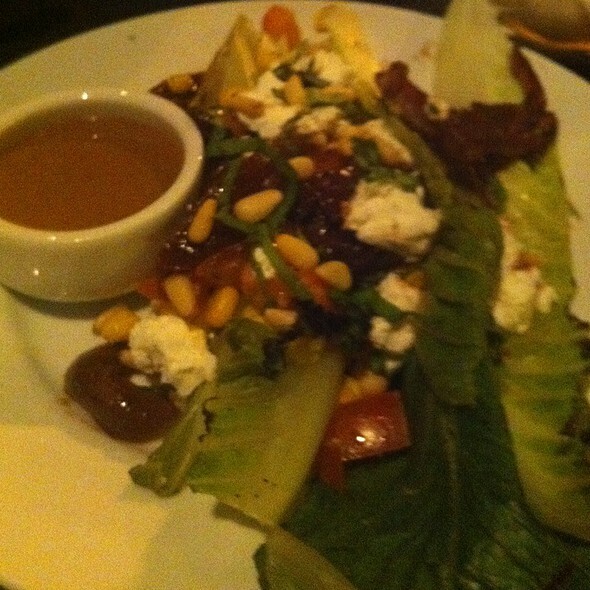 This was our first visit to Nirvana Grille and we were very impressed. It's a lovely restaurant with warm ambiance and a hard working staff. 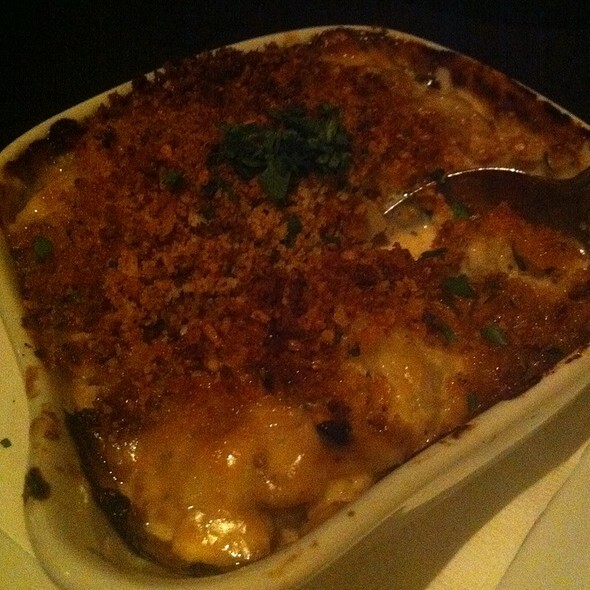 Our food was very good and it was a very pleasant experience. Our waitress was pleasant, but it took one hour to get our appetizers? What's up with that? In general the food was very good, & they did give us 20% off of our check. A bit frustrating as we had to rush to finish our food in order to get to the play on time. Had a blast! Nice, quiet ambience accompanied by great food and service! What a fine place this is!! Romantic and yet friendly, not pretentious. Some interesting light effects make the dinner placements shine and give off sparkles across the room. Food delightful, surprising Poblano Pepper stuffed with wonderful veges sautéed perfectly. Service excellent. My husband and I chose this restaurant to spend our Valentines Day dinner at. It was our first time, as I had been dying to try it from all the great reviews. Unfortunately my husband and I were both equally disappointed. The service was terrible! Our waitress did not pay much attention to us throughout our stay. It was a pre-fix menu and my swordfish was much too rare for my taste. I was hoping to send it back to have it cooked a bit longer, but our waitress took a very long time to come back. Also, my asparagus tasted as thought it had been cooked on the grill right after a steak. Our drinks sat empty for quite some time too. Overall, our experience was less than desired for a $250 night. We will not be back to this restaurant. Nirvana was always the most romantic, classy (white table cloths & napkins) upscale places to go in Laguna Beach precisely because it was QUIET. This last time the music was SO loud that everyone there had to raise their voices. We were deeply disappointed. Nirvana has always been in a superior class of its own. Adding noise brings it down to the level of all the other tavernas in Laguna. PLEASE keep it quiet and romantic!! Great menu, wonderful food. We had theatre tix, and the staff (and kitchen) got the 4 of us out with time to spare—and we even had fabulous desserts! Only quibble is that you have to talk over the loud crowd, but the music level is pleasant. Wow, first time my husband and I tried the restaurant. The food was amazing! Cannot wait to go again. 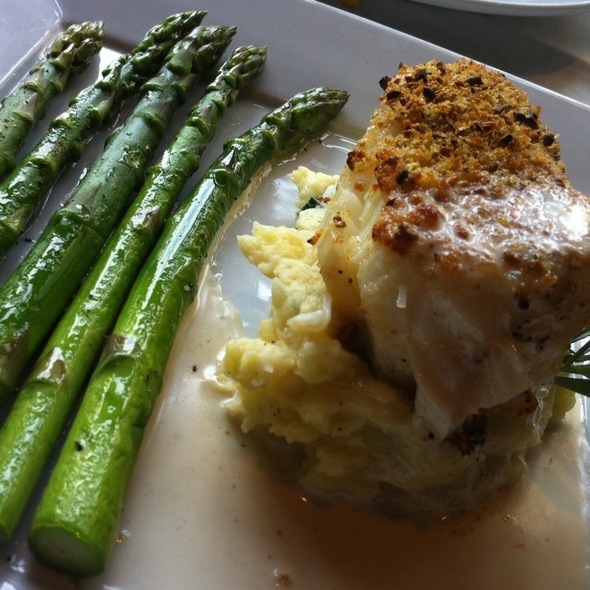 Definitely make reservations and plan to enjoy several small plates! We had 2 small plates, salad, and each had an entre. We were stuffed! I think a $2.00 split charge for a small salad, when also having two entrees and wine totaling $100, is a bit over the top and leaves a poor impression of the place. Otherwise, the food and service were very good. The only reason I gave it 4 stars for ambiance is that I would have loved if there was a candle on my table. That would have set the perfect tone for our decadent meal. Everyone and everything else was fabulous. Loved the trio of greens salad, the sweet potato fries, my martini was perfecto and the filet mignon dish is seriously to die for!! No room for dessert this time. 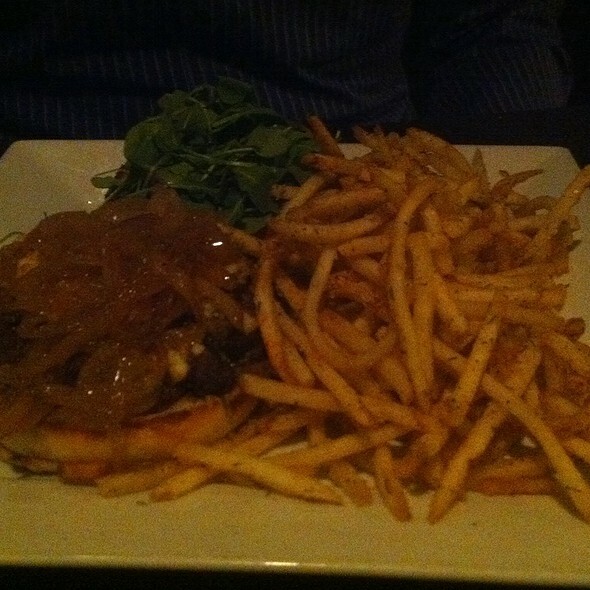 The food was outstanding, the service stellar. My fave Laguna Beach restaurant. Excellent food and atmosphere. 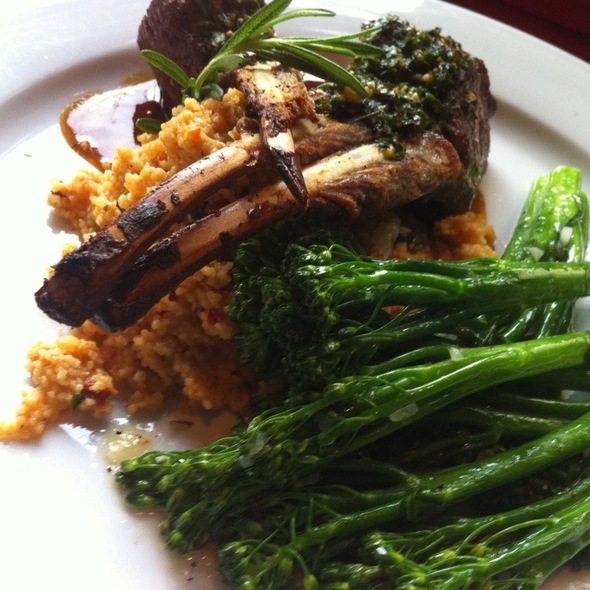 The small plates were delicious, service was excellent, nice quiet atmosphere. I’m not sure why this place wasn’t busier, because we loved it! This is a great restaurant that you should try. Unlike so many places today, this place is quiet enough to have a conversation. The food was good if not outstanding. Service was fine and the owner is great. Try it out! DIned there on New Year's Eve and it was perfectly wonderful. Although there was a fixed-menu, the selection was varied and the food was delicious... Better yet, the service was outstanding! Everyone was friendly and very festive! 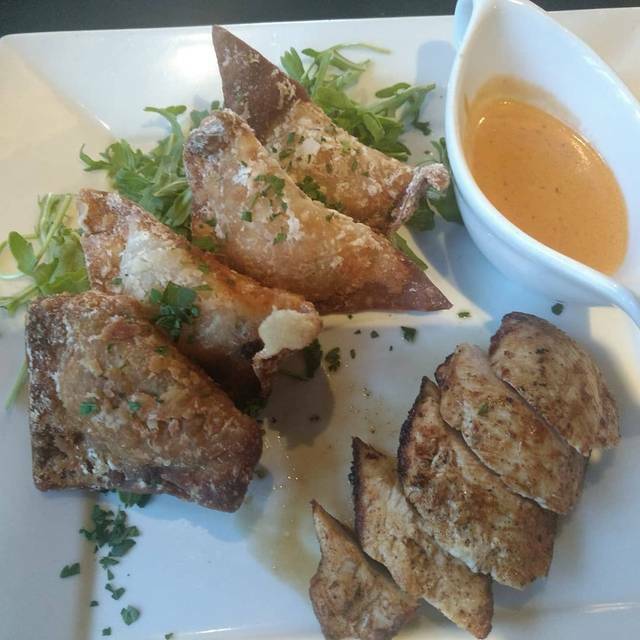 We have dined at Nirvana Grille several times and will definately return. This restaurat never disappoints on quslity of food with great flavor and good service. Year after year!! The food and staff were great. We really enjoyed our dinner. The service was very good, but the food was not great quality. We ordered the chicken wontons and there was a big piece of cartilage in the wonton.... I have a very sensitive gag reflex so, not great for me. Then when my main dish came there was a long piece of hair... pretty gross.